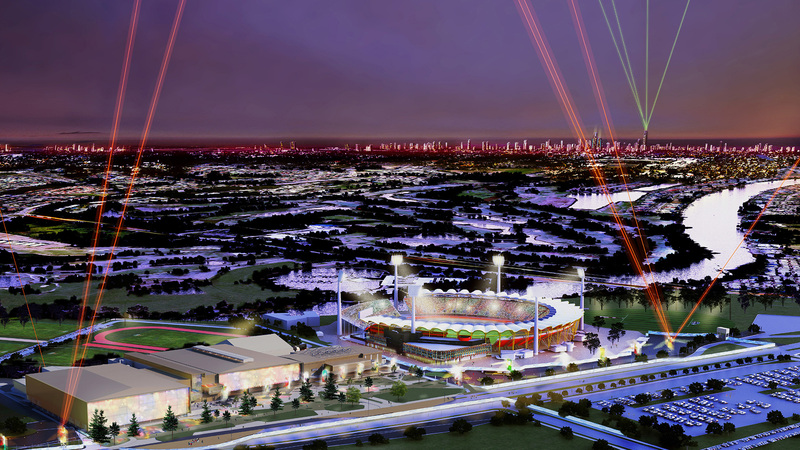 Significant progress has been made on the $160.7 million road network upgrades for the 2018 Commonwealth Games being held on the Gold Coast (GC2018), with 75 per cent of the package completed. Delivering these projects ensures Gold Coast motorists benefit sooner from the improvements with three of the six projects already completed. A new signalised intersection, completed three months ahead of schedule, has removed traffic queues for up to 45,000 motorists daily through the Ross Street and Ashmore Road intersection. An extra westbound lane is now open to traffic on Nerang -Broadbeach Road near Bermuda Street and the Kumbari Avenue intersection now has a free-left acceleration lane to Smith Street to improve traffic flows around the Athletes' Village in Parkwood. Southport-Burleigh Road (North) was completed in June 2017. The southern section was opened to traffic in October 2016, while the final (Central) section of the eight kilometre upgrade, which includes the Australian-first Continuous Flow Intersection, is on track to finish by late 2017. Widening Olsen Avenue is expected to be complete by September 2017, and the final project in the package, upgrading the Gooding Drive roundabout, started in May 2017 and is expected to be completed by late 2017. TMR partnered with Queensland Police Service, Gold Coast 2018 Commonwealth Games Corporation (GOLDOC), local councils and other stakeholders in planning counter-terrorism security provisions for the 2018 Commonwealth Games. Key locations were assessed using the Queensland Comparative Risk Assessment Methodology (QCRAM). The department provides members to the Security Executive Steering Committee (SESC) and chairs and secretariats the Transport Safety and Security Working Group (TSSWG) (a subordinate working group to the SESC). The TSSWG membership includes federal, state and local government agency representatives and is responsible for the coordination of a safe and secure Games. We are working towards creating a transport system that runs smoothly for Gold Coast residents and businesses during the 2018 Commonwealth Games. We are in the mobilisation phase of transport operations for the Games and the team is growing rapidly. developing detailed plans for how transport networks, services and management systems will operate during the Games.